I wanted to share one thing with my devoted readers, a real highlight for me, that happened at the Marlborough Fly Fishing Show this past weekend, and that was a visit to my table from Graydon Hilyard, author of Carrie Stevens: Maker of Rangeley Favorite Trout and Salmon Flies. About four in the afternoon on Friday, I was tying and looked up to see him standing at my table. I recognized him and said, “Hello Graydon.” His reaction was one of slight surprise I suppose since he may not have thought I knew who he was. 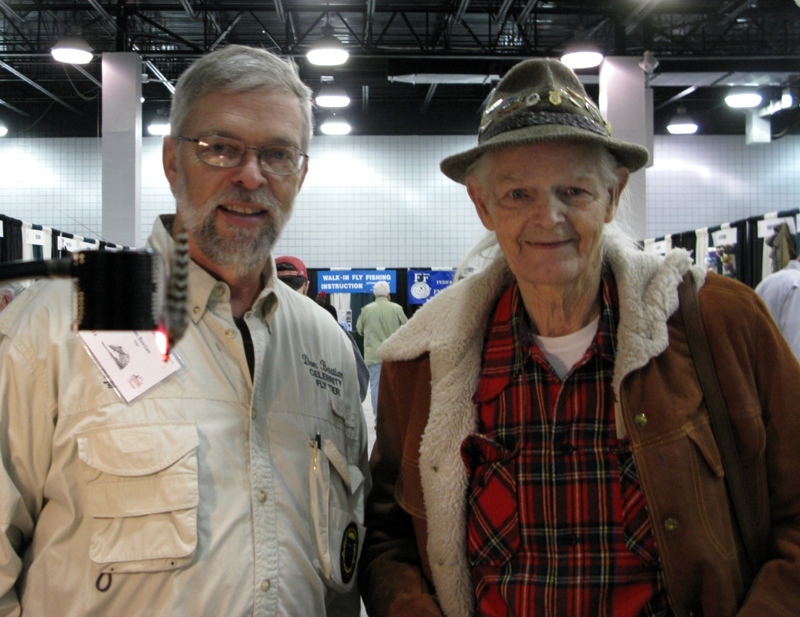 He had actually bought a number of my classic wet fly sets some years ago, back in the early years of his book’s release. He ended up spending a good twenty-five minutes there; we talked about streamers, wet flies, various things. 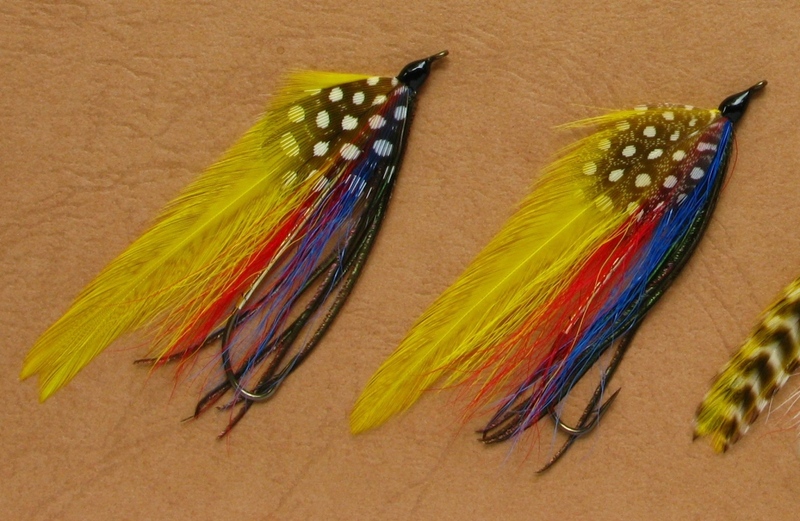 He also noted my Footer Special 50th Anniversary Special streamer flies, and commented that he knew David Footer, but expressed some surprise in the age of Dave’s streamer pattern. I also got the lowdown on Graydon’s book on Herb Welch. I know he’s been working on it since almost immediately after the Carrie Stevens book was finished. No details but he indicated it’s about two years until publication. We discussed the fact that Carrie Stevens and Herb Welch both had no children, so trying to do research on people with no direct descendents presents its problems. Graydon also was interested in the fact that I described how I was trying to locate a Carrie Stevens fly that is known to exist, but for which no specimens are known to exist. The name of the pattern shall remain nameless as I continue my research. He encouraged me to keep trying and not give up. Finally, I was very honored when Graydon stopped by about an hour later and bought one of my Footer Special Anniversary Streamers. David Footer and his wife, Annette, stopped by Saturday, and I told him Graydon had bought one of the flies. David was delighted by that news! 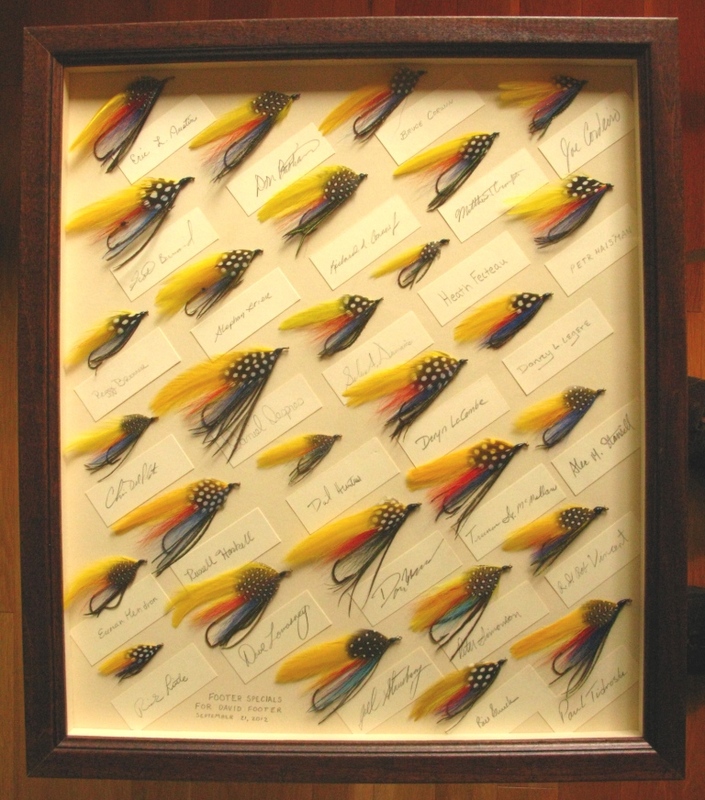 This is the frame I made of 29 Footer Specials contributed by fellow fly tiers. Eric L. Austin – Ohio; Scott Bernard – Maine; Don Bastian –Pennsylvania; Peggy Brenner – New Hampshire; Stephan Briere – Ontario; Richard L. Connors – Massachusetts; Bruce Corwin – New York; Matthew T. Crompton – Virginia; Joe Cordeiro – Massachusetts; Chris Del Plato – New Jersey; Daniel Despres – New Brunswick; Selene A. Dumaine – Maine; Heath Fecteau – Maine; Petr Haisman – Czech Republic; Eunan Hendron – Pennsylvania; Russell Haskell – New Hampshire; David Huntress – Maine; Deryn LaCombe – Connecticut; Danny L. Legere – Maine; Rick Little – New Hampshire; Dave Lomasney – Maine; Darren MacEachern – Ontario; Truman G. McMullan – Pennsylvania; Alec. M. Stansell – Massachusetts; Joel Stansbury – Kentucky; Peter Simonson – New Hampshire; Robert Vincent – Wisconsin; Bill Shuck – Maryland; Paul Tidroski – Florida. I’ve gotta go, so I’ll add more to this post tomorrow. Thanks to all these talented tiers for their contributions! As I announced last week, both the Portland Press Herald and the Lewiston/Auburn Sun Journal, both of Maine, have published feature articles about David Footer in their Sunday September 16th Editions. 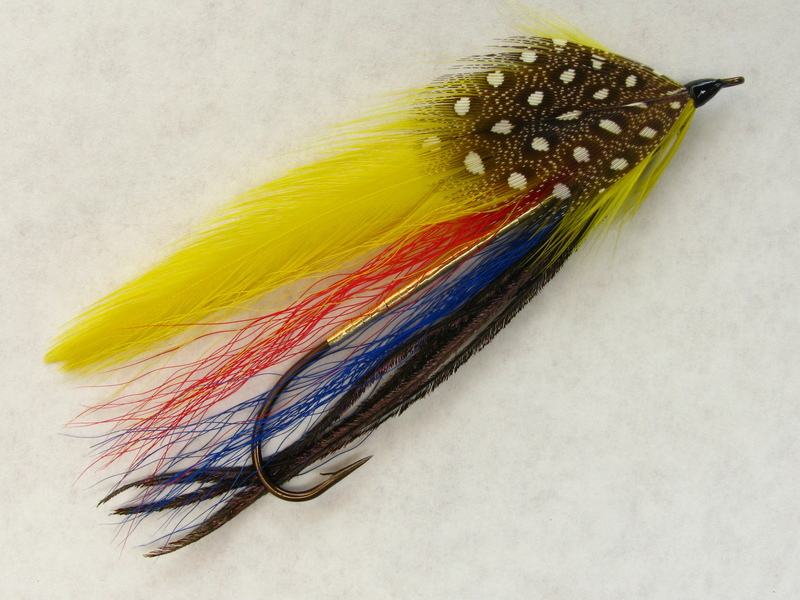 Footer Special – I tied this fly last Thursday evening. The two articles combined, present informative and interesting information about a Maine taxidermist, artist, sculptor, and legend. I am humbled and honored to be able to recognize David’s Footer Special fly pattern in its 50th Anniversary Year, and have Mr. Footer as the Guest of Honor this Friday, September 21st, at L. L. Bean in Freeport, Maine.